Hewlett-Packard Company (NYSE:HPQ) released its third quarter results for fiscal 2014 on Wednesday (August 20, 2014). Against the market expectations, The Company reported an increase in its quarterly revenue and posted $27.6 billion for the quarter. The market was expecting a drop in revenue to $27.01 billion considering the revenue of $27.2 billion in the same period last year. 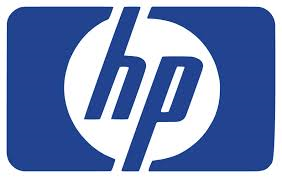 Hewlett-Packard Company (NYSE:HPQ) is aiming to lower its operating cost in the upcoming months. The main strategy is to focus towards businesses with higher profit margins like computing infrastructure. In her attempt to revive the company, the CEO is rather focusing towards networking and storage solutions for enterprises and lowering HPQ’s reliance on personal computers. The enterprise group of the company registered a growth of 2% in its revenue at $6.9 billion. Whitman further added that the company might even plan on acquisitions for smoother transition into new industries including cloud or internet-based software. “We’re in a position to make acquisitions the way we weren’t over the past year”, said Whitman. Earlier, the company reported non-GAAP earnings of $0.89 per share and GAAP earnings of $0.52 for the quarter. The company has net operating cash of $4.9 billion in the quarter with a cash flow of $3.6 billion from the quarter. Hewlett-Packard Company (NYSE:HPQ) returned $881 million with share repurchases and in the form of dividends to its shareholders.